In March 2011 during my final year, my friend ran for VP of Student Services in the Nottingham Trent Student Union Elections. 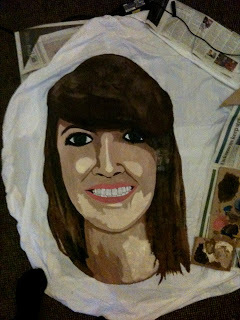 For this, she asked me to paint a couple of banners. 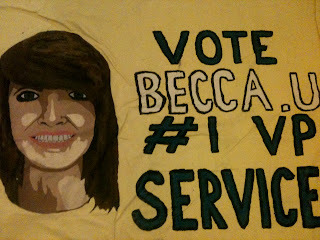 I painted two which included my cartoon-style portraits of her, and these two banners were put up at two campuses at University.